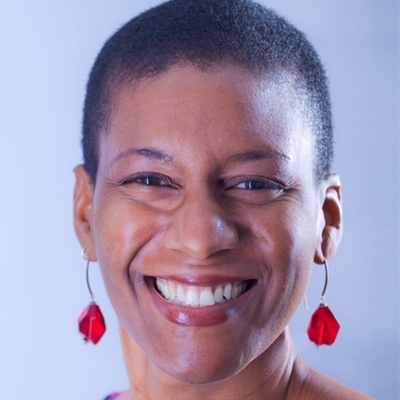 Denise R. Jacobs is a Speaker + Author + Creativity Evangelist who speaks at conferences and consults with companies worldwide. As the Founder + CEO of The Creative Dose, she promotes techniques to unlock creativity and spark innovation in people, teams, and workplaces, particularly those in the tech world. She teaches game- changing techniques for busting through creative blocks, developing clear and effective communication, cultivating collaboration, and up-leveling creative productivity. She’s all about creating real-world results where teams work better, produce more, and skyrocket their company’s success. Through speaking, writing, training, and consulting, she shares big concepts that challenge the status quo and lead to “ahas” that translate into immediate actions, skills, and new habits to transform all aspects of people’s work lives with focused creativity and improved productivity. Working in Web Design & Development since 1997, Denise is an industry veteran and regarded expert on many things web. Denise is the author of The CSS Detective Guide, the premier book on troubleshooting CSS code; co-authored the Smashing Book #3: Redesign the Web and InterAct with Web Standards: A holistic guide to web design, and was nominated for .Net Magazine’s 2010 Best of the Web “Standards Champion” award. Denise has presented at events and organizations worldwide such as Google, Facebook, Automattic, GitHub, the BBC, South By Southwest Interactive, UX Week, The Future of Storytelling, The Future of Web Design, Inbound, and TEDxRheinMain. Denise is also the founder of Rawk The Web, a movement focused on changing the face of the tech industry by increasing the numbers of visible diverse tech experts, and the Head Instigator of The Creativity (R)Evolution, a movement to spread the force of creativity around the world as a vehicle for positive change. She’s currently working on her latest book to help unblock creativity entitled Banish Your Inner Critic, due to be released in 2016. Through exploring various concepts and approaches, including the neuroscience of creativity, productivity techniques, and emerging practices that spur innovation, we’ll discover not only the ways in which our brains work best, but also what’s behind the times when we feel on fire with creativity and when we don’t. We’ll translate this information into processes and techniques for dramatically enhanced creative productivity. Beware: this workshop challenges the standard norms around concentration, focus, productivity, and may change how you work… for the better. Despite the prevalent mythology of the lone creative genius, many of the most innovative contributions spring from the creative chemistry of a group and the blending of everyone’s ideas and concepts. How can we best leverage this collective wisdom to generate creative synergy and co-create? 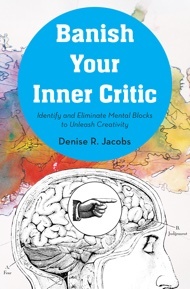 Let’s look at the process of recognizing and removing our personal creative blocks, connecting and communicating with others, combining ideas using play, and constructing a collaborative environment to discover effective methods for tapping into a group’s creative brilliance. Through these steps, you’ll learn to capitalize on the super- linearity of creativity to embrace and leverage diversity to create better together.